Stating the policy in favor of certification of antitrust class actions, the court noted that “in antitrust actions such as this one, it has long been recognized that class actions play an important role in the private enforcement of antitrust laws.” Id. *3 (citing Hawaii v. Standard Oil Co., 405 U.S. 251, 262 (1972)). Thus “when courts are in doubt as to whether certification is warranted, courts tend to favor class certification.” Id. (citing In re Vitamins Antitrust Litig., 209 F.R.D. 251, 258 (D.C.Cir. 2002); In re Playmobil Antitrust Litig., 35 F. Supp. 2d 231, 238 (E.D.N.Y.1998)). Defendants challenged the adequacy of counsel, citing plaintiffs’ counsel’s concurrent representation of the class of Netflix plaintiff subscribers in the instant action, as well as a group of Blockbuster plaintiff subscribers in a related action brought against the same defendants. Id. *5. According to defendants, the related Blockbuster action alleges that defendants’ conspiratorial conduct (premised on the identical conduct as that alleged in the present action) began in October 2004–which suggests in turn that the instant action, filed on January 2, 2009, is in fact barred by the four year statute of limitations that is applicable. Id. Defendants argued that plaintiffs’ counsel represented two groups of plaintiffs whose positioning is contrary to each other. As plaintiffs note, they have alleged that the unlawful conduct consisted of the unlawful market allocation agreement that was publicly announced on May 19, 2005. Notwithstanding any allegation that conspiratorial conduct leading up to the agreement began as early as October 2004, this does not alter the fact that it is Wal-Mart’s exit from the marketplace following the May 19 agreement, and as a result of the agreement, that is the trigger date for plaintiffs’ alleged injury–and thus, for the running of the statute of limitations. The present complaint’s original filing date of January 2, 2009, thereby falls within the four year statute of limitations. Predominance generally requires ‘that the common issues be both numerically and qualitatively substantial in relation to the issues peculiar to individual class members.” See, e.g., In re Bulk [Extruded] Graphite Prod. Antitrust Litig., 2006 WL 891362 at *9. The test for predominance is met “when there exists generalized evidence which proves or disproves an [issue or element] on a simultaneous, class-wide basis, since such proof obviates the need to examine each class members’ individual position.” See In re Vitamins Antitrust Litig., 209 F.R.D. at 262. In undertaking the predominance analysis, courts must identify the issues involved in the case and determine which are subject to “generalized proof” applicable to the class as a whole, and which must be the subject of individualized proof. To predominate, however, common questions “need not be dispositive of the litigation.” See In re Potash Antitrust Litig., 159 F.R.D. 682, 693 (D. Minn. 1995). To succeed in their antitrust claims here, plaintiffs must establish (1) an antitrust violation; (2) “impact” or “fact of injury”; and (3) the amount of damages sustained as a result of the antitrust violation. See, e.g., Allied Orthopedic Appliances, Inc. v. Tyco Healthcare Group L.P., 247 F.R.D. 156, 165 (C.D. Cal. 2007); In re Vitamins Antitrust Litig., 209 F.R.D. at 257. The question, of course, is whether these issues are subject to generalized proof—thereby satisfying Rule 23(b)(3)–or whether they are unique to the individual class members. Defendants appeared to concede that predominance may be satisfied with respect to plaintiffs’ ability to demonstrate an antitrust violation. Id. *6. The parties disputed, however, whether the latter two issues–impact and damages—can be satisfied with generalized class-wide proof. Id. As the court noted, in “antitrust cases, the critical inquiry is frequently whether injury is ‘an issue common to the class and subject to generalized proof’ or an issue ‘unique to each class member.’” Id. (citing In re Warfarin Sodium Antitrust Litig., 391 F.3d 516, 528 (3d Cir. 2004); Alabama v. Blue Bird Body Co., 573 F.2d 309, 320 (5th Cir. 1978)). The parties agreed that in order to show that the “plaintiff class suffered injury as a result of defendants’ anticompetitive agreement, and Wal-Mart’s ensuing exit from the market, plaintiffs must demonstrate that in the but for world–i.e., one where Wal-Mart would not have exited the market–Netflix would have lowered its prices. The parties dispute, however, whether plaintiffs can prove this issue with common class-wide proof.” Id. Plaintiffs relied on the evidentiary record thus far developed in the case, as well as the supporting declaration, report, and testimony of Dr. John C. Beyer to demonstrate that Wal-Mart’s continued competition in the ‘but for’ world would have lowered Netflix’s pricing, and that all class members would have paid less for their subscriptions to Netflix, with reference to categories of facts showing: that Wal-Mart was and would have remained a significant competitive force in the online DVD rental market; that Wal-Mart’s exit from the market and the switch to a two-firm market favorably impacted Netflix’s profitability; that Blockbuster’s competitive significance and strategies in the real-world two firm market that included Netflix and Blockbuster suggests reduced competition in that two firm market; that barriers to entry exist in the online DVD rental market; the extent of Netflix’s own monopoly and market power; and that Netflix employed standardized pricing among plans that were essentially commoditized. Id. *6. Defendants disputed that plaintiffs had come forward with a plausible methodology, based on common class-wide proof, that demonstrates that every member of the class was worse off in the actual world than they would have been in the “but-for” world. Id. *7. Defendants relied on their own expert, Dr. Janusz Ordover, to essentially challenge Dr. Beyer’s methodology and analysis as failing to adequately assess crucial competitive variables related to Wal-Mart’s exit from the online DVD rental market (and its continued competition in the “but-for” world), the examination of which defendants say demonstrates that certain portions of the class suffered no injury at all as a result of Wal-Mart’s exit from the online DVD rental market. Id. Defendants also noted that Dr. Beyer’s failure to take these variables into account also exposes conflicts between the class members in the but for world. Id. At the hearing, defense counsel took the position that the deficiencies in Dr. Beyer’s analysis and plaintiffs’ impact showing can be grouped into three principal failures: (1) plaintiffs’ failure to adequately account for Netflix’s subscriber growth over the class period; (2) the intra-class conflict between class members evidenced by the foregoing failure; and (3) plaintiffs’ failure to adequately account for Wal-Mart’s performance in the but for world. Id. *8. The court ultimately concluded that plaintiffs adequately demonstrated that the issue of impact is one common to the class and capable of resolution with recourse to generalized, class-wide proof. Id. *9. Contrary to defendants’ contentions, Dr. Beyer’s reports and the analyses contained therein are supported by actual documentary evidence and data thus far produced in the action, and provide an adequate basis from which plaintiffs propose to demonstrate with proof common to the class that Wal-Mart’s exit from the online DVD rental market harmed class members. See, e.g., Beyer Report, P 11. The proposed methodologies that Dr. Beyer sets forth in order to analyze the existence of impact upon the class members–the cost-margin analysis and benchmark approach–are also well-established and find support in the economic literature. See, e.g., In re TFT-LCD (Flat Panel) Antitrust Litigation, 267 F.R.D. 583, 606 (N.D.Cal.2010); Beyer Report, P 69. Even if not ultimately persuasive to a trier of fact, for class certification purposes, the court is persuaded that plaintiffs have put forth a feasible methodology to show that the impact of Wal-Mart’s exit from the online DVD rental market can be measured, in a manner and with regard to evidence that applies equally to all class members. To be sure, defendants raise valid objections to Dr. Beyer’s analysis. They have, for example, noted Dr. Beyer’s failure to discuss or explain the importance of certain competitive variables in the but for world–e.g., increases in Netflix’s quality and service, increased competition from other competitors or distribution channels in the online DVD rental market, Wal-Mart’s comparative influence in the market–that would likely influence Netflix pricing, and possibly prevent Netflix from lowering its prices (thereby discounting the existence of injury caused by virtue of Wal-Mart’s exit from the market). The court is also troubled by defendants’ argument that Dr. Beyer’s failure to adequately account for Netflix’s rapid subscriber growth exposes the possible existence of members of the class for whom Wal-Mart’s exit from the market presented no injury, as well as the potential for difficulty in discerning those class members suffering injury from those who have not. However, the fact remains that defendants’ arguments–while admittedly highlighting vulnerabilities in Dr. Beyer’s analysis, in light of the analysis set forth by Dr. Ordover–are ultimately directed to the merits of plaintiffs’ ability to prove impact: i.e., plaintiffs’ ability to ultimately prove that all plaintiffs suffered impact. [FN4] Defendants’ objections do not, in the court’s view, establish that plaintiffs’ methodology for proving impact will necessarily require individualized evidence. Indeed, defendants’ objections to plaintiffs’ methodology are themselves made with reference to generalized proof applicable to the class. For example, the issue of Wal-Mart’s competitive significance and the effects stemming therefrom in the but for world, the impact of a three firm market versus a two firm market on Netflix’s pricing, or the effects on Netflix pricing of alternative online DVD rental distribution channels in the but for world–all of these are substantive challenges that will be determined based upon the strength of evidence that applies equally to all members of the class. 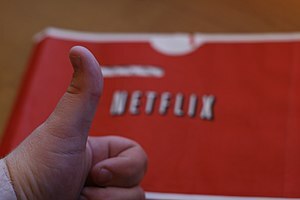 And while defendants do an arguably better job of arguing that individualized evidence will be necessary in order to distinguish those plaintiffs whose decision to subscribe to Netflix was price-dependent and thus would have participated in the but for world, even this challenge to plaintiffs’ impact showing does not depend upon individualized evidence per se. Rather, defendants have presented a challenge that will ultimately either disprove or prove the viability of plaintiffs’ impact theory on its merits. . . . In short, despite defendants’ objections to plaintiffs’ methodology and analysis, as courts have recognized, “the issue at class certification is not which expert is the most credible, or the most accurate modeler, but rather have the plaintiffs demonstrated that there is a way to prove a class-wide measure of [impact] through generalized proof.” In re Ethylene Propylene Diene Monomer (EPDM) Antitrust Litig., 256 F.R.D. 82, 100 (D. Conn. 2009). In resolving this issue, however, plaintiffs are not required to “prove the merits of their case-in-chief at the class certification stage. They need not demonstrate that their [ ] analysis captures all the proper variables and thus reaches the ‘right’ answer, as the defendants would require them to…. It is unnecessary to delve further into the merits by going point-by-point through each expert’s theory to decide who has designed the ‘better’ [ ] equation.” Id. at 101. The court must thus ultimately leave “disputes over the results reached and assumptions made with respect to competing methodologies to the trier of fact, and discern only whether the plaintiffs have advanced a plausible methodology to demonstrate that antitrust injury can be proved on a class-wide basis.” In re eBay Seller Antitrust Litig., 2009 WL 2779374 *1 (N.D. Cal. 2009). The court concludes, for the foregoing reasons, that plaintiffs have done so here. The court accordingly finds that the predominance requirement has been satisfied with regard to impact. Plaintiffs relied on Dr. Beyer for class wide proof of damages. Id. *11. Dr. Beyer opined that there are two methodologies that are available for calculating damages: (1) the price-cost margin approach; and (2) the benchmark approach. Id. Defendants attacked both methodologies set forth by Dr. Beyer as a means for proving damages on a class-wide basis. Id. Defendants did not take issue with the methodologies themselves, but they argued instead that Dr. Beyer’s analysis and use of these methodologies fails to take significant factors into account, which failure essentially rendered his analysis worthless. Id. As noted previously by this court, at the certification stage of an antitrust class action, plaintiffs have ‘a limited burden with respect to showing that individual damages issues’ do not predominate. See In re Rubber Chem. Antitrust Litig., 232 F.R.D. at 354; In re Potash Antitrust Litig., 159 F.R.D. at 697. Plaintiffs need not supply a “precise damage formula,” but must simply offer a proposed method for determining damages that is not “so insubstantial as to amount to no method at all.” See Id. The court finds that plaintiffs have met this burden here. As noted in conjunction with the foregoing impact analysis, while defendants have made well-aimed challenges to Dr. Beyer’s testimony, these challenges are largely addressed to the weight of the ultimate merits of plaintiffs’ case. At this juncture, the court’s inquiry is limited strictly to whether the methodologies advanced by Dr. Beyer for proving damages are methodologies that depend upon class-wide proof. And given that the methodologies Dr. Beyer proposes are well-established in the economic literature, and the fact that Dr. Beyer explains how each methodology can be employed using class-wide proof, the methodologies are sufficient at this juncture. Moreover, as this court has noted previously, even if some individual issues may arise in calculating damages, this fact alone does not defeat class certification. See In re Bulk [Extruded] Graphite Prod. Antitrust Litig., 2006 WL 891362 at *15. For these reasons, the court finds that individual issues do not predominate with respect to plaintiffs’ proof of the third and final element of their antitrust conspiracy claim. Thus, the court granted plaintiffs’ motion for class certification. Plaintiffs were represented by Robert G. Abrams, Peter Barile, Guido Saveri, Eugene Spector, Lisa Saveri, Joseph Tobacco, Sarah Schalman-Bergen, Thomas Isaacson, and Paul Alexander. Defendant Netflix, Inc. appeared through its counsel, Jonathan M. Jacobson, Sarah Walsh, and David Reichenberg. Defendants Walmart.com USA LLC and Wal-Mart Stores, Inc. appeared through their counsel, Stephen Morrissey.